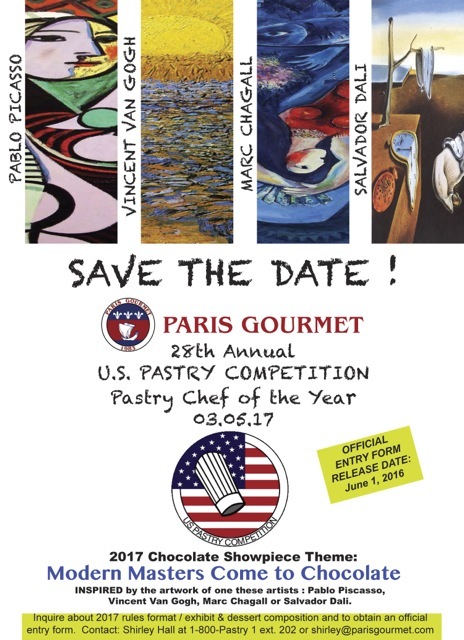 On March 5, 2017, the 28th US Pastry Competition will be held in the International Restaurant and Foodservice Show of New York, a historic contest in the United States which has awarded great pastry figures in the past. 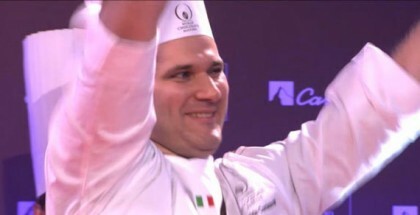 The prestigious championship, organized by Paris Gourmet, announced major changes in the regulations. Changes which have certainly made the competition even more attractive for participating chefs. In this edition, candidates have three hours to submit mini desserts (fruit and chocolate) made with Cacao Noel Chocolate Couverture, six for the jury taste panel and three for the display table; a plated dessert with Cacao Noel Chocolate Couvertures and Ravifruit fruit puree, and a chocolate piece under the theme “Modern Masters come to chocolate.” This piece must be inspired by the work of Salvador Dali, Marc Chagall, Vincent Van Gogh, or Pablo Picasso and produced with 100% chocolate and other chocolate derivate products (cocoa butter, cocoa powder, nibs, etc.). 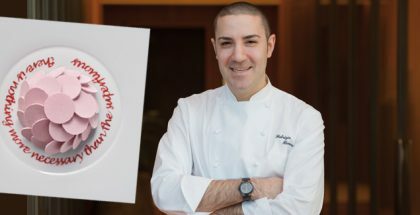 Interested parties have until December 9 to register to compete for the title of Pastry Chef of the Year, with the prize money totalling $10,000.00. The jury will also grant a silver medal ($3,500.00), a bronze medal ($2,500.00) and an honorable mention ($750.00).